Specify the lead profile – and we can take care of the rest. DLG and PDV’s expert campaign management services handle lead generation from start to finish. We have years of experience in developing multi-channel campaigns for blue chip clients. 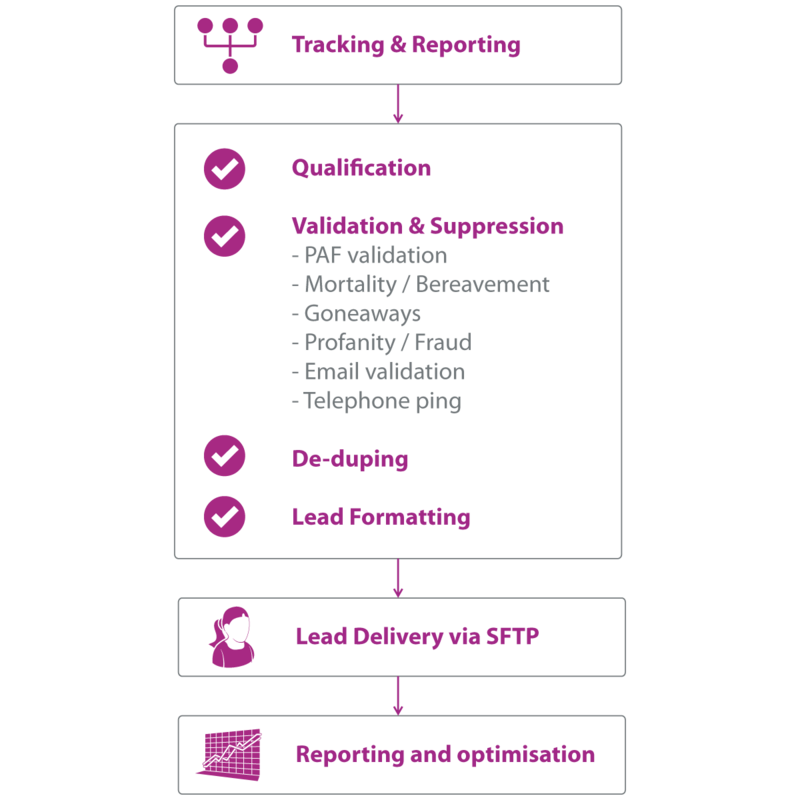 Backed by first-class account handling, our CleanLeads platform streams qualified, verified prospects direct to your own marketing operation. Our CleanLeads management platform centrally controls leads generated by DLG and PDV – as well as third party suppliers. DLG and PDV’s media planners can develop a lead sourcing strategy to meet your cost, volume and timing requirements. Acquisition options available to us include the UK’s largest survey programme and our 150+ partner network. Ongoing campaign analysis and real-time reporting ensure we only deliver the right leads. We test, measure and amend questions, incorporating feedback from clients’ own outbound operation. The result? Your lead generation campaign continually improves its response – and ROI.